The film is currently out on Blu-ray / DVD. Nominated for three Oscars, the eight film by Quentin Tarantino is currently out on Blu-ray / DVD. Here’s what to know about its origins, its cast and its path to the big screen. 1. The movie was filmed in Ultra Panavision 70. This format uses anamorphic lenses (as opposed to traditional spherical lenses) to create a wide aspect ratio. It’s been used on only a handful of films that include “Mutiny on the Bounty,” Stanley Kramer‘s “It’s a Mad, Mad, Mad, Mad World,” “The Greatest Story Ever Told” and “Battle of the Bulge.” “Khartoum” was the last movie to use this format back in 1966. 2. 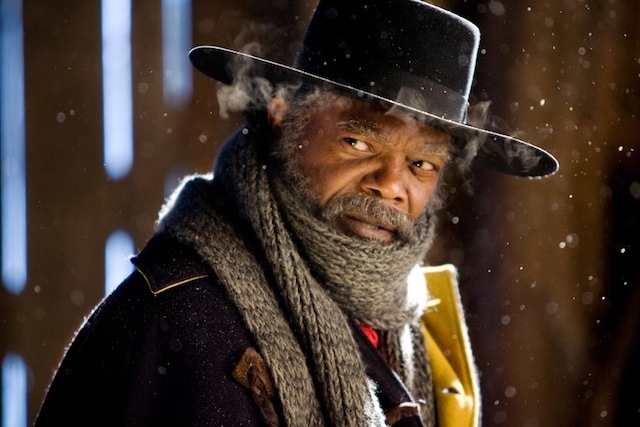 “The Hateful Eight” made its debut in 2014 as a staged reading benefitting the non-profit organization Film Independent. Although Tarantino intended for the reading to be a standalone event, the overwhelming response inspired him to make the movie. 3. Ennio Morricone who composed the score initially turned Tarantino down. He was later inspired to weave together the haunting score after reading the script. He went on to earn an Oscar for Best Original Score. 4. Samuel L. Jackson, Kurt Russell, Walton Goggins, Michael Madsen, Bruce Dern, Tim Roth, James Parks and Zoë Bell have all worked on other Tarantino films. 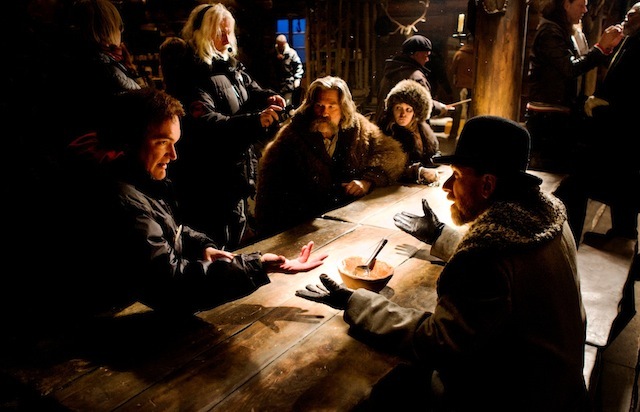 Only Channing Tatum, Jennifer Jason Leigh and Demian Bichir have not worked with Tarantino before. 5. Tarantino made a small adjustment to his script just prior to production that required Leigh to play the guitar and sing a song. She had only a few weeks to learn the instrument and took lessons from a classically trained guitar teacher. 6. A mild winter threatened to hamper production during the film’s shooting in Colorado and the cast remained on call till the weather changed. 7. The film was nominated for three Oscars. 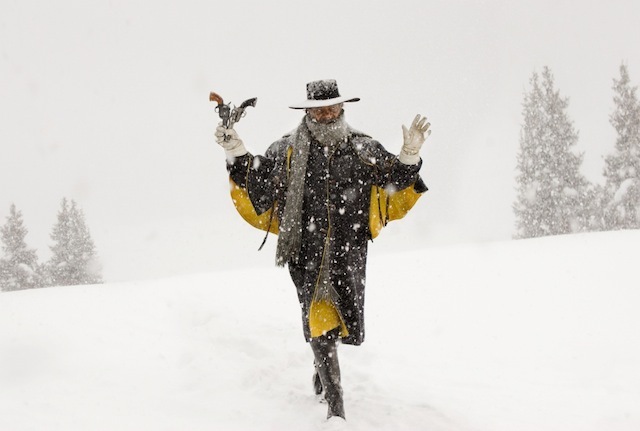 Best Cinematography for Robert Richardson, Best Actress in a Supporting Role for Jennifer Jason Leigh and a Best Original Score which Ennio Morricone took home in February. To enter, simply send us an email to samantha.ofole@caribpress.com telling us your favorite Quentin Tarantino film.